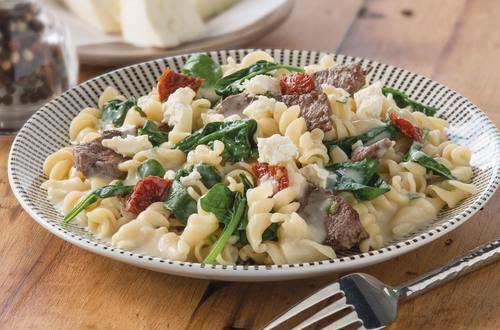 Enjoy this twist on an Italian favourite, our Carbonara recipe with lamb, spinach and tomatoes is a fresh take on a classic. Try for yourself with our simple recipe. 1 Heat olive oil in a large saucepan or fry pan and brown lamb. 2 Add Pasta & Sauce, milk and water and bring to the boil. Simmer for 10 minutes, stirring regularly. 3 Stir through spinach and tomatoes at the end of cooking.